There are multiple artists under this name: the UK downtempo/hip-hop group, the Australian band, the Indian thrash-metal band and an English Metal band. 1) Elixir is a trio from the UK whose music can best be described as a combination of dark hip-hop beats, obscure samples, and live instrumentation on guitar and bass. The group has released three full-length albums: The Phobos Incident (1997), Music Mathematics Magic (2000), and Don't Be Scared (2003). 2) The Australian band: Poetry cast intimately, acoustically, with jazz as its setting, by three friends, for the sake of it. This rare experience features a combination of the vocal delights of Katie Noonan, the compositional elegance of Katie and Nick Stewart, the soulful tones of Isaac Hurren's Saxophone and the rich poetry of Martin Challis. Elixir, a truly successful crossover of art mediums, without pretence, presented in its most organic form - the spontaneity of the live performance. This is grace in musical colours. 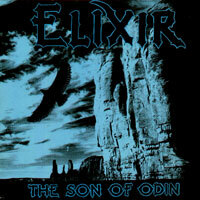 3) Elixir from India a band that was based in Delhi. Had Chetan (Guitars/Vocals), Kabir (Lead Guitars), Yuvraj (Drums) and Shamul (Bass). They played mainly thrash metal influenced by bands like Megadeth, Metallica. They disbanded a few years ago. 4) An English metal band from the 1980s, with Paul Taylor as the vocalist, Phil Denton and Norman Gordon on guitars, Kevin Dobbs on bass and Nigel Dobbs on drums. Produced "Treachery (Ride Like The Wind) / Winds of Time" 7" single (1985), "The Son of Odin" LP/CD (1986), "Sovereign Remedy"/"Lethal Potion" LP/CD (Inc. Clive Burr on drums, rereleased as "Lethal Potion" with changed mix and reduced tracklist) (1988), "The Idol" LP/CD (Released under the CTR label) (2003), "Elixir Live" CD (2006), "Knocking On The Gates of Hell" CD Single, "Mindcreeper" CD Album. Signed to Cold Town Music.